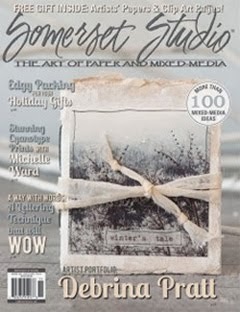 this week i worked on a project for an online class that i took from claudine hellmuth called "home is where the art is"
this project includes 12 different mixed media techniques using her sticky back canvas and other products in her studio line. but the nice part is that if you don't have a certain product, she provides another option...and i always love to know i have options! 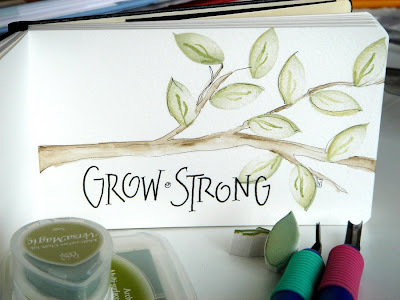 as most of you know, working with paint and other paint-type materials is not exactly in my comfort zone, but claudine's fresh style and easy instructions made this a project that even i could do! 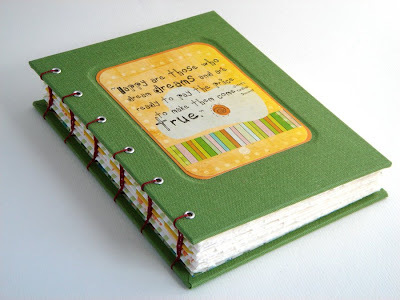 one of the nicest things about this project is that it was so easy to make it "my own". 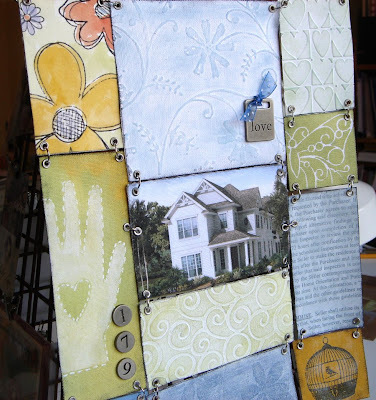 i decided that i would use our new house as the focal point (our move-in date is two weeks from today...yippeee!). 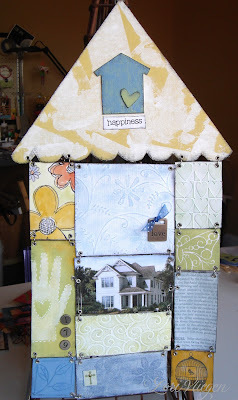 while i still used some of claudine's images, i changed a few to reflect our new house. for example, the house image is a rendering of our new house, the text block is an excerpt of our house contract, there's a butterfly outline to represent transformation, the number "179" is our house number, and of course, i had to sneak in a heart-in-hand image! 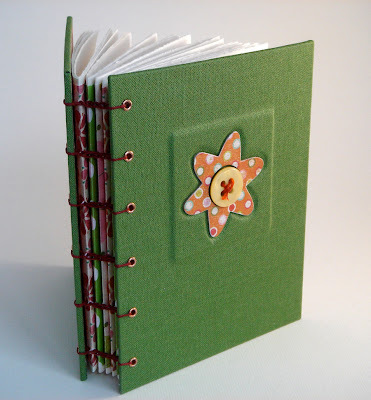 thanks, claudine...this was a really fun project and i learned a lot! 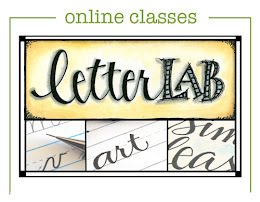 you can read more about this online class here! i've decided that if i'm going to eat chocolate, i may as well try to do it in a "healthy" way. so, i mainly eat chocolate of the dark variety (bring on the antioxidants!) and i try not to eat it in a processed sort of way. but, every once in a while i get a yearning for a good brownie. 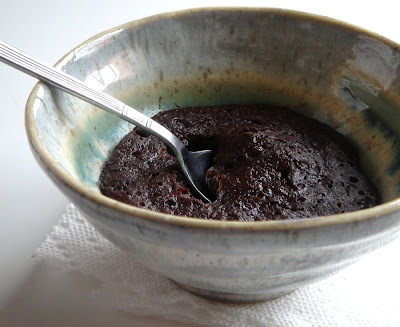 so how does one eat a brownie in a "healthy" sort of way? i came upon this mix in the grocery store, and to be honest, i didn't get my hopes up too high because it was all the way down on the bottom shelf...meaning that it was only about six inches above the floor. 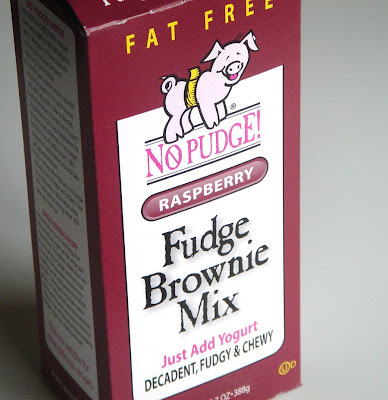 maybe it was the words "no pudge" that grabbed my attention, or maybe it was just my eagerness to figure out a way to still eat brownies and gain "no pudge"...i'm not sure. but, when i saw that it's fat free and you add yogurt to the mix, i immediately bought into the "healthy" aspect of it and put it in my cart. 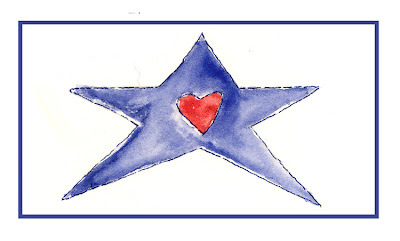 just sending a little love your way today...and wishing i could somehow express to you how much i appreciate your visits to my blog, your encouragement, your wonderful comments, and your all-around sweetness! you are all THE BEST...group hug!!! remembering all of the courageous men and women who have given their lives for our freedom...and keeping them in our hearts. i took a little time to play in my journal today. these leaves were created by carving a simple leaf shape, and then carving a separate vein stamp to layer on top of the leaf image. watercolor pencil was used to finish the tree limb...and my monoline letters are somewhat bumpy on this textured cold press paper. but, that's the beauty of art...thankfully, it doesn't have to be perfect! it's been raining here since sunday. that's four full days of overcast skies and rain blowing up against the window. normally, i love this type of weather...i nest...and it's a great excuse to be in the studio. but after four days, the novelty wears off a bit, i'm tired of bad hair days, and i'm ready for a little sunshine. i'm ready for a little laughter. i'm ready for a little mary...mary tyler moore, that is. she's perfect for a day like today...after all, who can turn the world on with her smile....who can take a nothing day and suddenly make it all seem worthwhile (are you singing with me?). when i was a kid, i used to love to watch her show. she always wore great clothes, had great friends, and oh my goodness, her apartment was spectacular! i grew up wanting a wooden letter "M" hanging on my wall, and i don't even have an "M" in my name! her life wasn't perfect, and that's what made her so much fun to watch. it was the early 70's at its very best and today is the perfect day for some laughs and a little trip down memory lane. 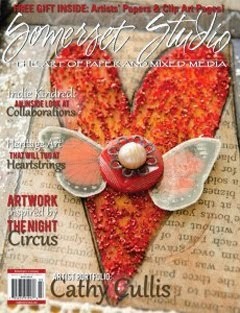 i'm off to pop one of the dvd's in the machine...and maybe a batch of chocolate chip cookies in the oven! 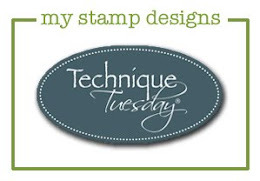 would you like to start carving your own stamps, but don't know where to start? one of the nice things about stamp carving is that there's relatively little investment, and you get a great return with a wonderful collection of hand-carved artwork! 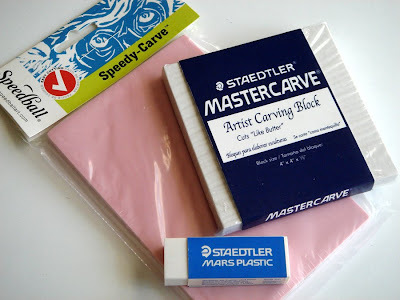 for the carving material itself, my favorite product is the artist carve block, Mastercarve, by Staedtler. it comes in different sizes and really does cut like buttah. 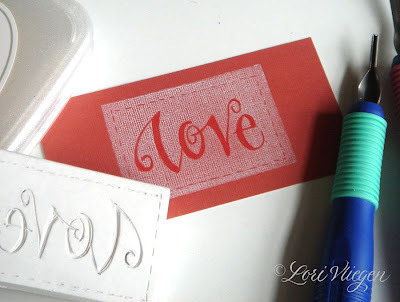 my second favorite is a product by Speedball called Speedy-Carve...it's pink and comes in different sized sheets so that larger stamps can be carved. once you have your carving material, you'll need a sharp blade. 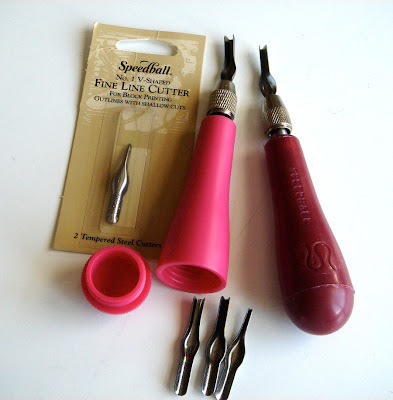 the most popular and accessible are the carving tools made by Speedball. the handles are usually plastic and have a removable bottom for blade storage, and the tip allows for blade changing and removal . i use the #1 v-shaped blade for detail work, and a larger u-shaped blade to remove the excess material from around the outside edges. one thing that i would like to stress is that these blades are very sharp...make sure that you keep your fingers out of the way (i speak from experience on this one!)! 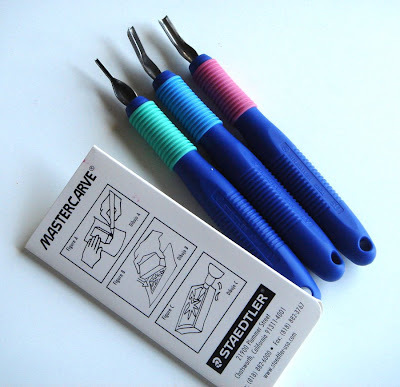 Staedtler also makes a set of carving blades that are very nice. unlike the Speedball, these blades are not removable, but permanently fixed in their handles. another difference between the two is that this set is much more of an investment than the Speedball set. for me, personally, the handle seems less bulky in my hand and easier to use, and i was able to use my 40% off coupon at Hobby Lobby to help with the expense. 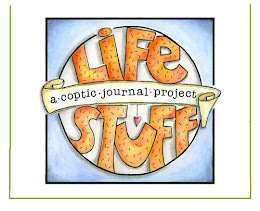 most of these supplies can be found at many on-line sources, Hobby Lobby, and Michaels (they usually carry the blades). once you have your carving block and your carving blades, it's time to start carving! 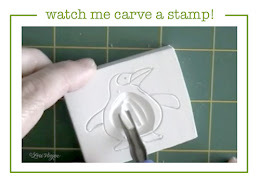 i've been following geninne's blog for quite some time and she recently made a great video on stamp carving (view it here)...she does beautiful work and it's always fun to learn from the best! enjoy! 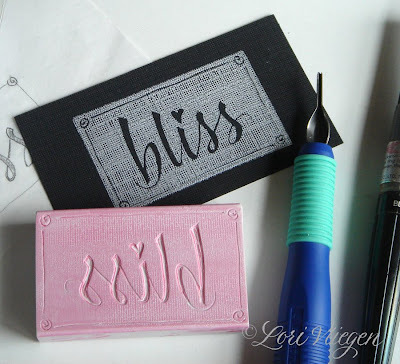 *this is my new "bliss" stamp! 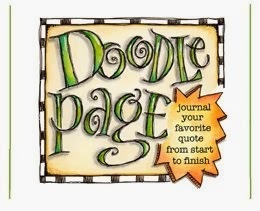 the word was originally written with a brush marker and then carved from a Staedtler block using a Staedtler blade. 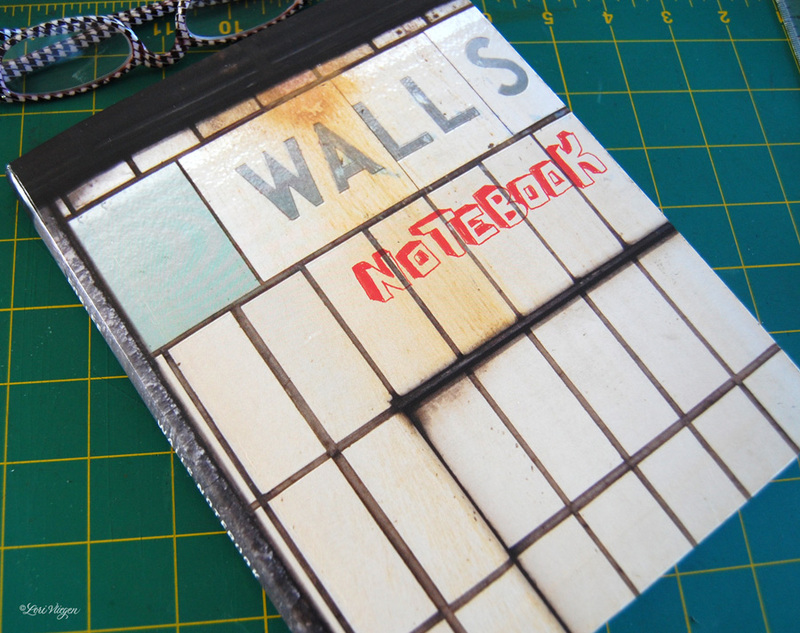 for the image, white ink was stamped onto black textured paper. 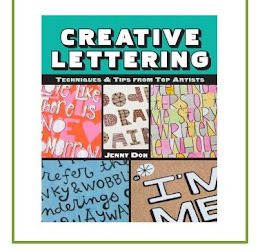 edited: my blog buddy lindsey, over at "piggy in the puddle" is having a giveaway for one of her fabulous hand-carved bee stamps...head on over and leave a comment before friday! 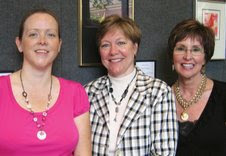 we had a great time yesterday at the opening reception for our calligraphy exhibit. it's always so wonderful to see old friends, and in this case, meet new ones...sweet cristi from 2ifbysea came to the show!! 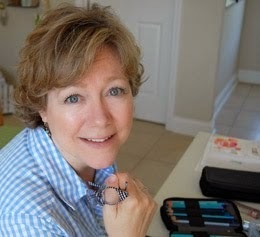 i've enjoyed following her blog for quite some time now, and i'm also a very proud owner of several pieces of her spectacular jewelry (i'm wearing one of my favorite necklaces in this photo, made by cristi!). 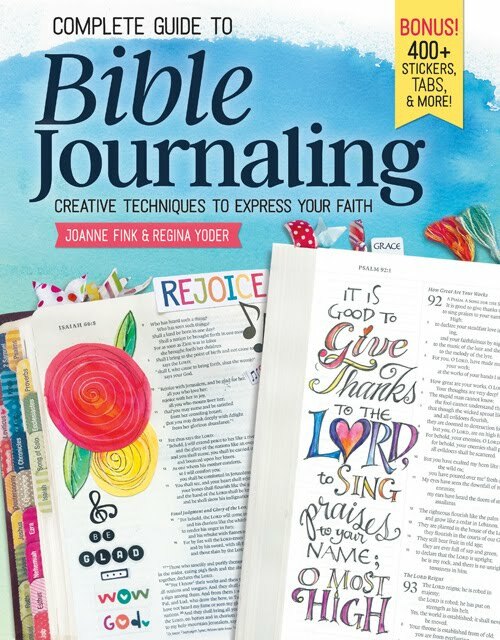 it was fabulous being able to meet cristi in person and give her a big hug for all of the many ways she inspires me...through her blog, her creative spirit, her faith, and her sweet generosity! martha and i both agree that cristi is absolutely precious, and we SO enjoyed meeting her! i see many lunches and chocolate desserts in our future....! p.s. thanks for sending this cute photo, cristi! i think that gardeners are some of the most creative people around....they have a true understanding of design, texture and most of all, color. 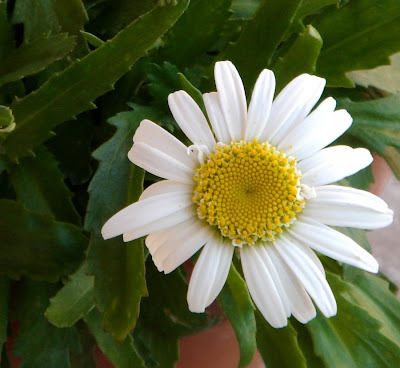 i absolutely love to work with my hands, and that includes moving some dirt around in the garden, pulling weeds, and especially planting flowers. but, to my disappointment, the closest thing that i'll ever get to having a green thumb is to paint one on myself. i think that i have a tendency to "over nurture" (i.e. if i add some more water, maybe it will grow faster) and i'm not sure that i have the patience that's required to be a master gardener. 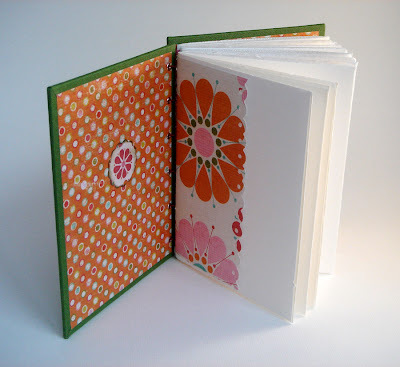 so, when the idea for this little book popped into my head, i thought it may just be the perfect compromise....a colorful little garden full of happy flowers...and i didn't even have to get dirt under my fingernails! 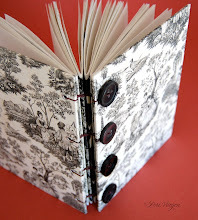 you can find more images and information about this book here in my etsy shop. we have a new tuesday morning store in our town, and yesterday i found myself in aisle 2 browsing in the craft section...i always challenge myself to see if there's anything there that i could possibly not already own! 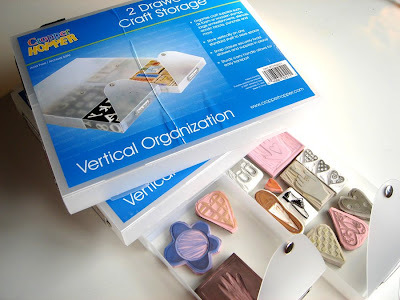 and lo and behold, i came upon these great storage containers, perfect for rubber stamps, stamp pads or any other small item that is screaming for organization. they measure about 9"x 11" and have two drawers to keep things tidy. and the best part is that they were only $1.99 each! if you have a tuesday morning nearby, scoot on over there and see if they have any of these left! penny for your thoughts...and maybe another penny for these little loafers? for days and days i have dreamt of clearing my "life's list" so that i could get back into the studio and do some more stamp carving. 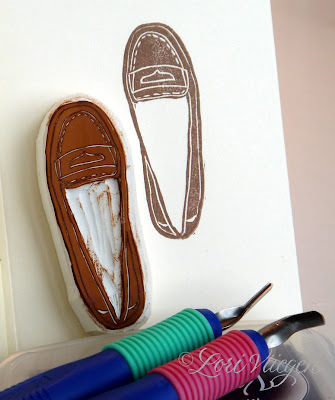 and then those days somehow turned into weeks, so today i found, or i should say, i took some time to carve this little shoe stamp. in my world of favorite classic shoes, this penny loafer is definitely a must have! other classic shoes can be seen here and here. we were strolling through some model homes yesterday and i stumbled upon this artwork in the laundry room. 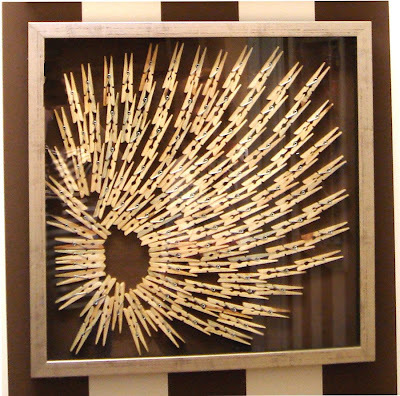 don't you just love it when someone takes an everyday object and turns it into a piece of art?! i'm really drawn to the texture (although, please excuse the striped wallpaper glare on the glass!) 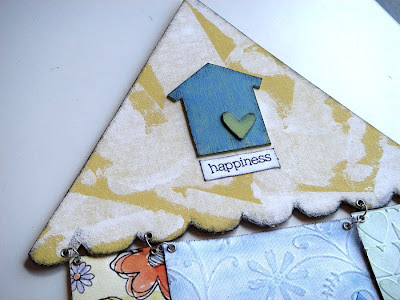 and if you're not going to hang these clothespins on the line, you may as well hang them on your wall! i spent the morning helping my friends rynda (she made this fabulous signage!) and denice hang the artwork for our calligraphy exhibit in remembrance of bobbi yoffee. 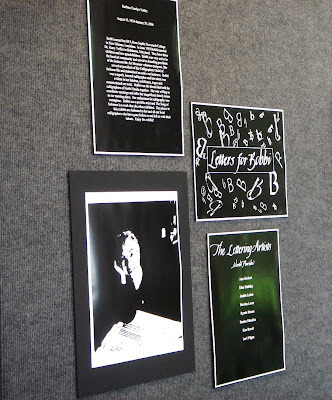 this exhibit features the calligraphic works of eight different lettering artists who knew and loved bobbi. and, i must admit that after seeing all of our works hanging on the wall, it's clear that we're all still very much inspired by her as well! 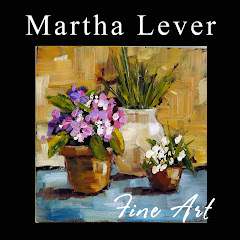 it's a beautiful exhibit, and if you happen to be in the jacksonville area, the show continues through june 3 at the JCA, located on san jose boulevard. 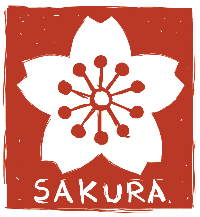 our opening reception will be on sunday, may 17th from 3:30-5:00....if you'd like to stop by and say hi, we'd love to see you! 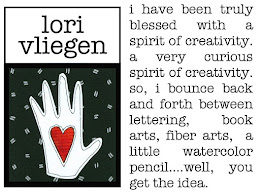 you can read more about bobbi and view a piece of my exhibit artwork here. i don't know how or when it happens, but it seems like one day i'm rolling along just fine balancing the house, the etsy shop, the blog, the errands, the studio work, the appointments, the life-in-general-stuff...and then just like that, something will happen to throw everything out of balance and it takes me forever to catch up! so, this morning i made my list of priorities, and decided that the house needed my attention first (the dust bunnies were starting to carry their picket signs again in protest for better conditions). and, actually, i really don't mind cleaning the house or the wonderful sense of satisfaction when i'm done...and the big smile on my dutch boy's face when he notices i spruced the place up a bit certainly makes it all worthwhile! but, i must confess that i'm dreaming of a day when it won't be so obvious that i cleaned....or, that the house won't get so bad that i have to pretend that i'm not home so that the health department van that keeps circling the block will go away. yes, a clean house and life back in balance...now, that's a happy dream! 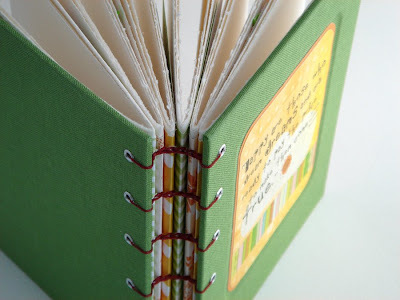 you can see more images and read more about this handmade book here or here. i'm not a coffee drinker, but seeing how creative one can be with a little milk foam (and a little chocolate sauce!) makes it awfully tempting to start a new latte habit! enjoy! we have some friends who live in holland and recently came to the states for a visit....and they brought fabulous gifts with them! 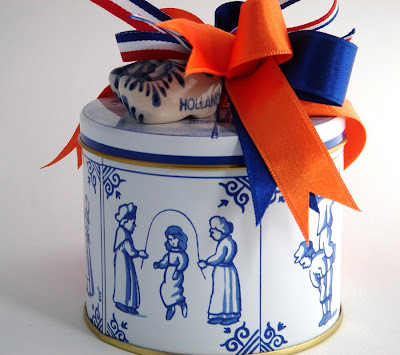 this is a small tin decorated with images of traditional delft blue tiles, and on top is a festive orange and blue bow (orange is a royal color and blue a popular color in the netherlands), blue, white and red ribbons (the colors of the dutch flag), and a tiny pair of ceramic clogs that have become easily recognized as part of the traditional dutch culture. and if all of that isn't inspiring enough, it's what's inside this little treasure tin that truly makes me so happy...a stack of stroopwafels! known to make its first appearance in the town of gouda during the time of napoleon, a stroopwafel is a delightful concoction: two paper-thin waffle-style cookies the size of a coaster held together by a rich, ooey-gooey cinnamon caramel filling inside. 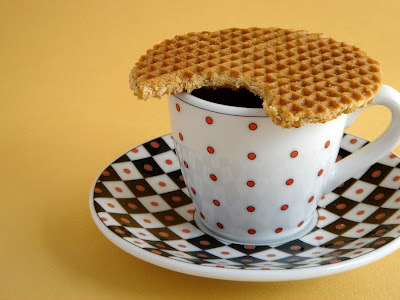 my little dutch boy says that the real way to enjoy a stroopwafel is to set one on top of your cup of espresso or cafe au lait...the steam will slowly warm and slightly melt the filling inside...unless you're like me and can't wait that long! i had some exciting news last evening....sweet jill over at "things with wings" left a comment for me that she had seen my "etc. 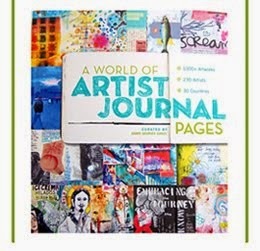 journal" on the etsy front page! yikes!! 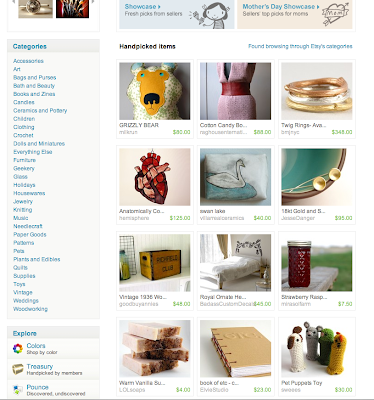 i frantically clicked over to etsy just in time to see it there, bottom row and center...and i'm still feeling like a giddy schoolgirl over it! thanks so much, jill, for letting me know...i would have completely missed out on all of the excitement! 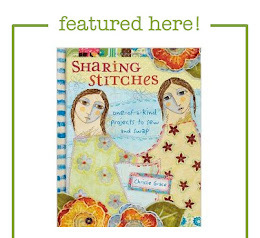 congratulations to all those others who were featured, too! hope you have a fun and fabulous weekend! !